Hi there, I am checking in just to let you know that this old guy has not yet been killed by choreography. Seriously folks, trying to learn to dance and sing the pieces for this musical is tough on this old man. But I am surviving and as they say "the show MUST go ON." Meanwhile I have been squeezing in minutes to work on some notebook covers. I have three completed -with my new labels inserted into the pocket seam. 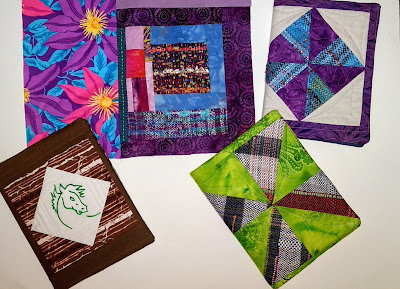 Here are three completed pieces and one cover that is ready to be quilted. The unquilted cover also has a woven ribbon that I made on my inkle loom as well as two pieces of hand woven fabric. I am really enjoying making these. You an do it Gene! Plays are such fun. I like the notebook covers. Clever! 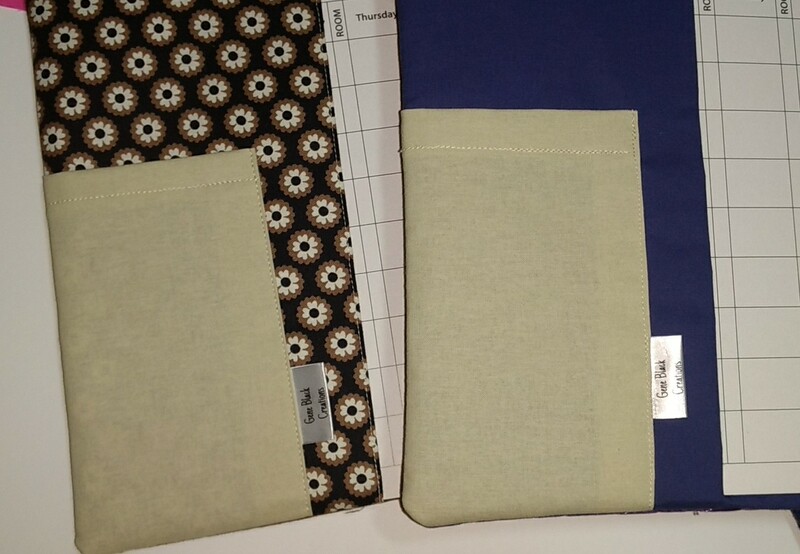 How wonderful to have your woven fabric included in on these covers. My body would be hurting having to learn a dance...break a leg. Love the pocket and the labels! Did you make your label or purchase them? If you purchased them and don't mind sharing, where did you get them?